This two-day event includes outstanding alcohol, soda, consumer products, and tobacco related offerings, as well as notable selections of antique tap knobs and porcelain shaving mugs. Robert Burns Chipped Glass Advertising Sign, estimated at $10,000-30,000. Morphy Auctions, the finest auction destination for fresh to the market collections, is excited to kick off the fall auction season with this can’t miss antique advertising sale event to be held on September 2nd and 3rd, starting promptly at 9am each day. Almost 1,100 exciting and carefully curated lots will be on offer. All selections from this sale are on display in Morphy's Denver auction gallery and available for preview now. This sale’s fine range of rare antique porcelain shaving mugs is sharp as a razor. 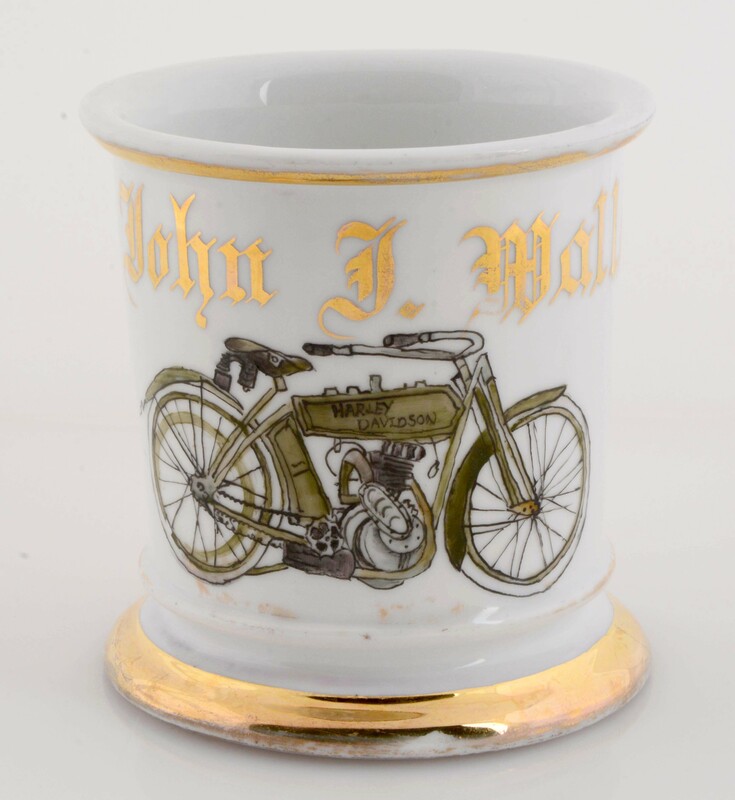 Lot #619, a Harley Davidson motorcycle occupational shaving mug, may hog bidder’s attention with its $1,500-3,000 estimate. This fine piece shows an early Harley Davidson Motorcycle, is marked Germany, and J.E. Neville Quincy, Ill., and is personalized with the name John J. Malls in gold gilt. 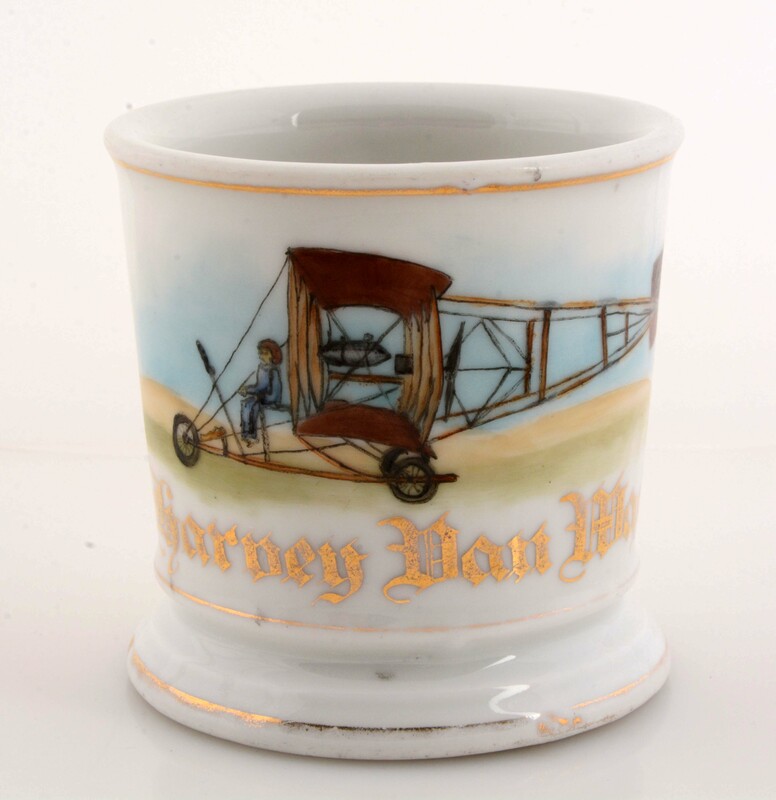 And lot #612, an airplane occupational shaving mug with a pilot flying a Curtiss airplane, is estimated at $1,500-4,000. This high flyer is personalized with the name Harvey Dan Wagner in gold gilt and is stamped Austria under its base. Now let’s get a handle on the great group of bar tap knobs offered through this event. With almost 250 lots on offer, this collection is nothing short of top shelf. Two senior highlights here include lot #111, a red swirled Old Shay Ale newman glass tap knob estimated at $400-600 and lot #162, a red and black swirled Old Dobbin Ale newman glass tap knob, estimated at $500-800. This sale’s offering of over 260 lots of vintage and antique Coca Cola branded merchandise is certainly the real thing. 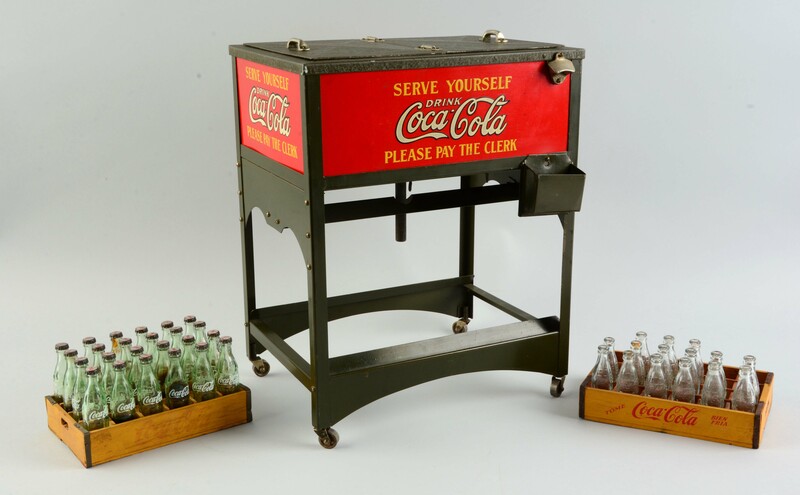 Lot #971, an exceptionally rare Coca-Cola double Glasscock Brother’s salesman’s sample cooler, is estimated at $15,000-25,000. This circa 1929 example features twin hinged top lids with zinc interior compartments, original advertising panels on all four sides, a side bottle opener, and caster feet. Morphy’s sold a similar model for $17,835 at their 2017 Spring Antique Advertising Sale held in March. 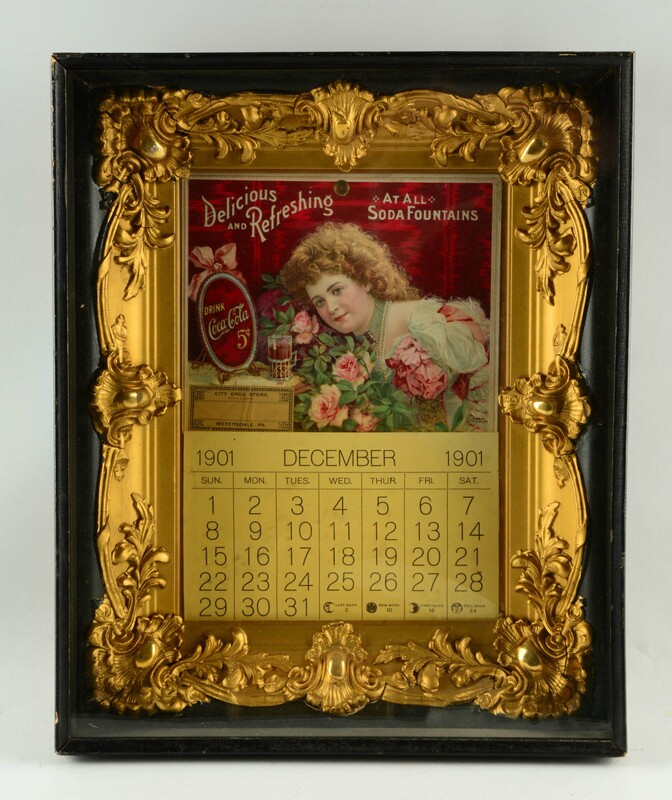 Lot #637, a rare and beautiful 1901 Coca-Cola calendar, is estimated at $8,000-15,000. This item originated from City Drug Store in Myersdale, PA and still bears its original drugstore sticker. Its colors are quite strong and the piece really pops with richly detailed embossing. Lot #937, a 1930s-era Coca-Cola lighted action sign estimated at $6,000-12,000, is truly electrifying. This sign was manufactured by George Mesker and Co. from Evansville, IN. This is believed to be the only known example and was likely a prototype. When plugged in, the bottom illuminates the sign and a motor drives a set of panels to change the sign from Drink Coca-Cola to the Pause that Refreshes. This is the actual sign that appears in Petretti’s Coca-Cola Price Guide. Collectors will be singing the praises of lot #835, a 1905 Coca-Cola self-framed tin sign featuring opera star Lillian Nordica. It is estimated at $7,500-15,000. And lot #962, an early Coca-Cola Hutchinson bottle, is estimated at $4,000-6,000. This rarity is in beautiful overall display condition; components of the original stopper remain inside the bottle’s body. This auction’s selection of fine beverage syrup dispensers is quite refreshing. Lot #1018, an extremely rare Drink Fan-Taz dispenser with its original pump, is simply fan-tastic and estimated at $10,000-25,000. 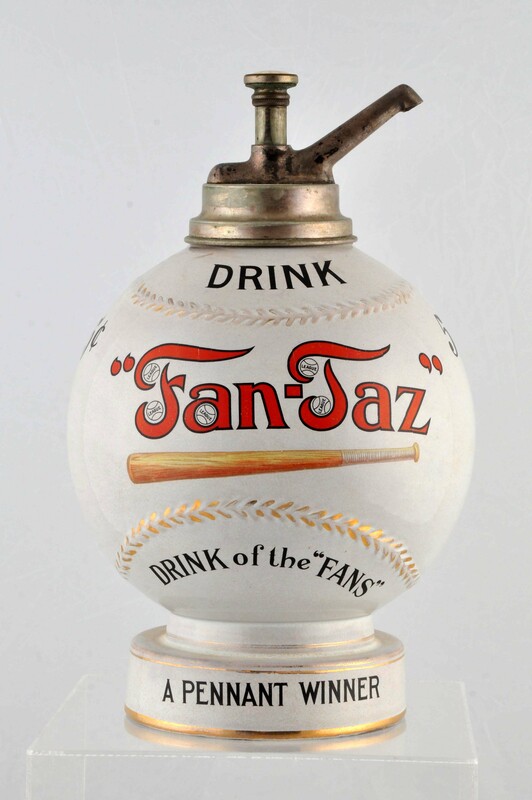 This design is painted to look like a baseball with picture of a baseball bat across the front; its advertising copy reads: Drink Fan-Taz - Drink of the Fans - A Pennant Winner. 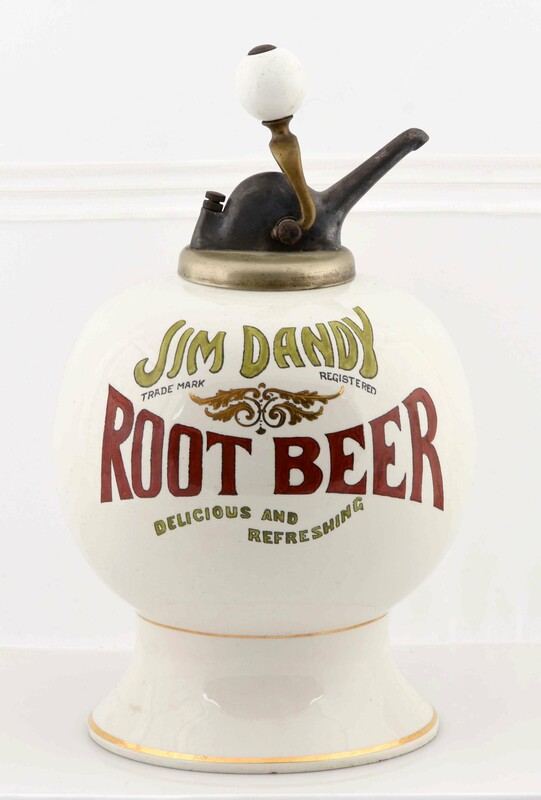 Lot #1016, a Jim Dandy root beer syrup dispenser with an old ball pump is estimated at $15,000-25,000. Its bold lettering decoration is as strong as the day it was made. And lot #1017, an early two piece Hires Ugly Boy urn syrup dispenser is estimated at $20,000-30,000. This handsome example, featuring four images of the Hires mascot, retains its original spigot and is in fantastic condition with very light wear and vibrant colors. All signs suggest this event’s selections of trade and advertising signage will delight collectors from start to finish. 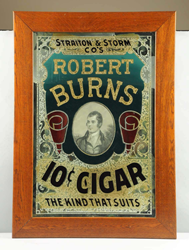 Lot #539, a Robert Burns cigar chipped glass advertising sign is estimated at $10,000-30,000. The sign has a lithograph insert in the center of Robert Burns; the rest of the sign is made of chipped glass. According to our experts, “This is a very ornate sign with great appeal that most likely is the only one in existence.” Lot #540, a Davy Crockett Cigar embossed tin sign is estimated at $20,000-40,000 and is truly smoking. It is framed without glass and was made by The Standard Advertising Company of Coshocton, OH. This fabulous example is heavily embossed and features a great image of Davy Crockett enjoying a cigar and holding a rifle. This is the first time that Morphy’s has had the pleasure of handling this sign. Lot #292, an Iroquois Brewery Beer porcelain corner sign with great graphics, strong colors, and gloss, is estimated at $10,000-20,000. This extremely hard to find example retains its original cast iron bracket and is marked Ingram Richardson Beaver Falls, PA. And lot #418, a single sided Auburn Wagons wooden advertising trade sign from Martinsburg, WV, is estimated at $8,000-15,000. This fine piece has very strong colors and an appealing look and retains its original wooden frame. Morphy’s team of specialists includes the nation's finest and most recognized experts in popular collecting categories including advertising; firearms; fine automobiles, automobilia and petroliana; coin-operated machines; antiques, fine, and decorative art; dolls, bears, toys, and trains; cast iron; coins; marbles; jewelry and wrist watches. Morphy Auctions is owned by President and Founder Dan Morphy, himself a lifelong and passionate collector of antiques, banks, and numerous other categories. Morphy's has been in business since 2004 and has grown from two to over 65 employees in over a decade. Morphy Auctions is located at 2000 North Reading Road, Denver, PA 17517. We can be reached by phone at 877-968-8880, by fax at 717-336-7115, and by email at info@morphyauctions.com. Our auction gallery is open seven days a week: Monday through Friday from 9am to 4pm and Saturday and Sunday from 9am to 1pm. For more information on Morphy's, please visit http://www.MorphyAuctions.com. 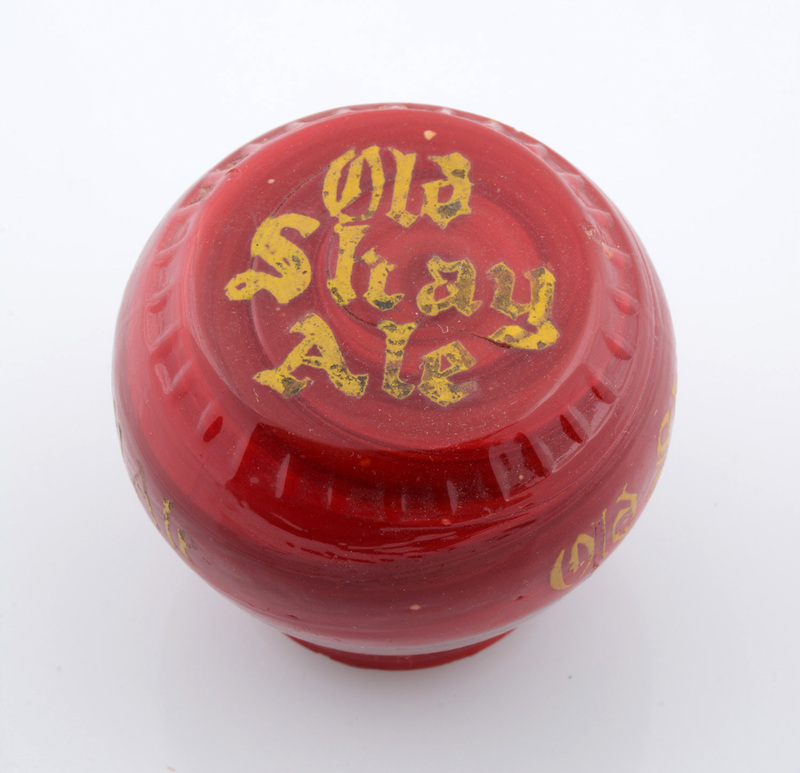 Morphy Auctions, Denver, PA and Las Vegas, NV Old Shay Ale Newman Glass Tap Knob, estimated at $400-600. 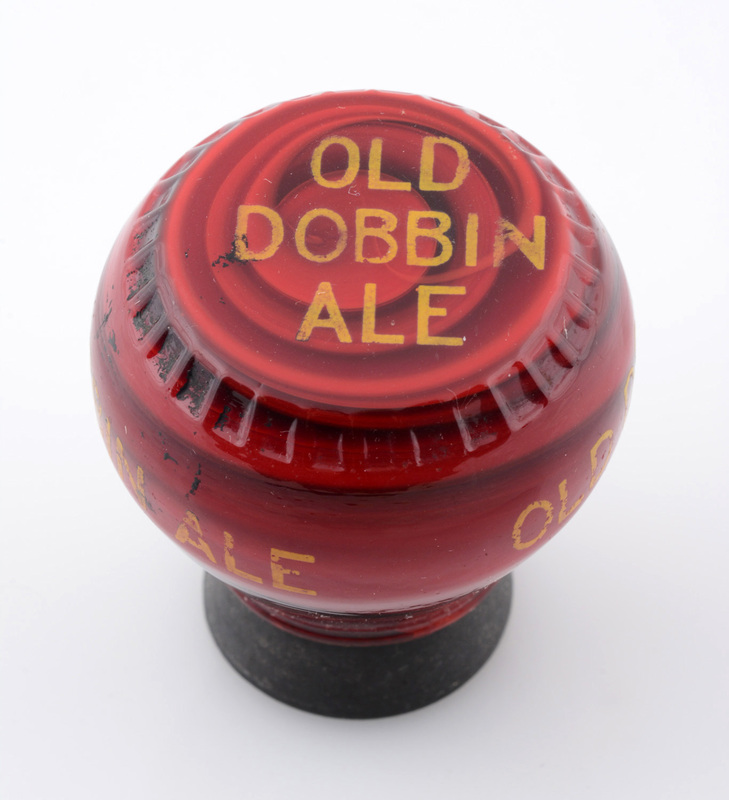 Old Dobbin Ale Newman Tap Knob, estimated at $500-800. 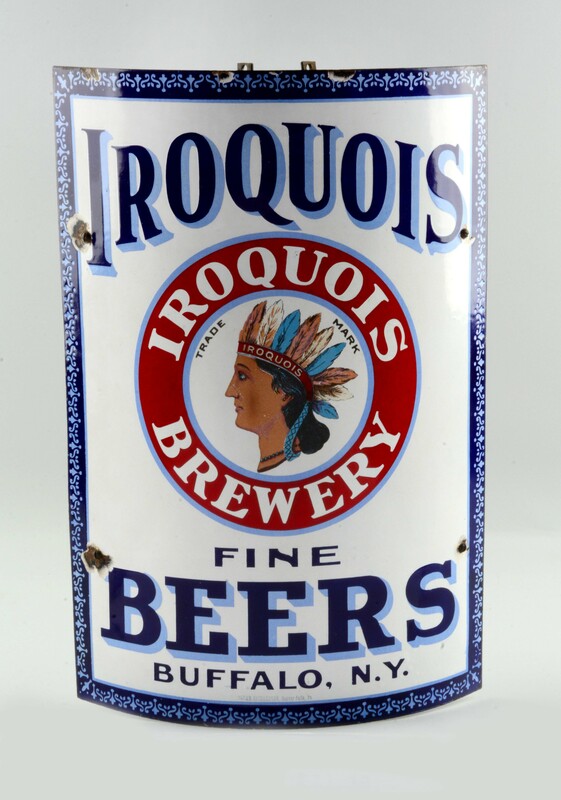 Iroquois Brewery Beer Porcelain Corner Sign, estimated at $10,000-20,000. 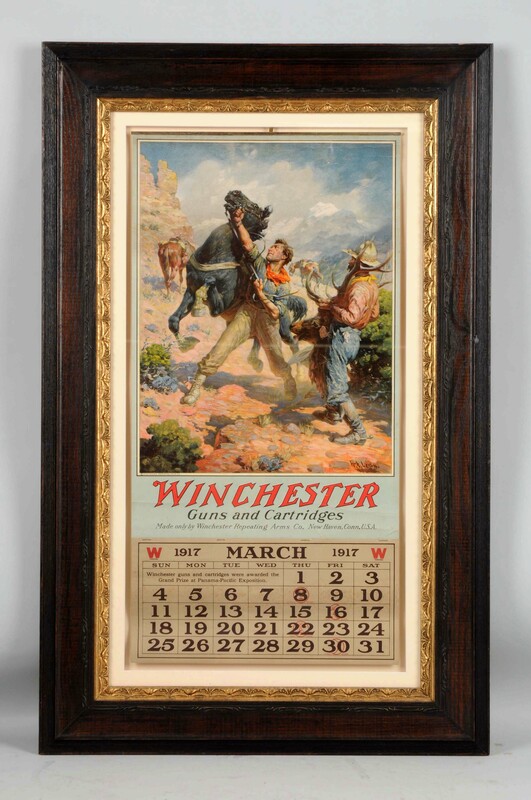 1917 Winchester Advertising Calendar, estimated at $3,000-6,000. Auburn Wagons Advertising Trade Sign, estimated at $8,000-15,000. 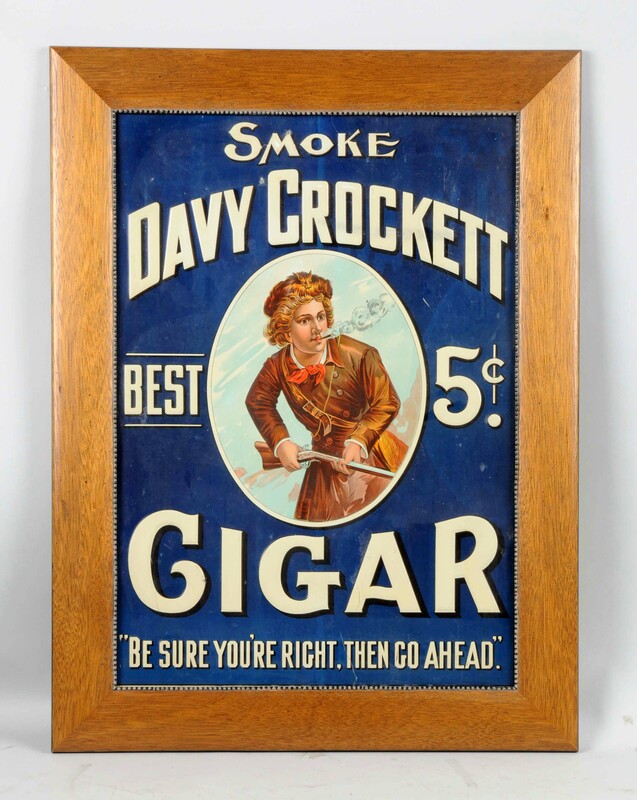 Davy Crockett Cigar Embossed Tin Sign, estimated at $20,000-40,000. 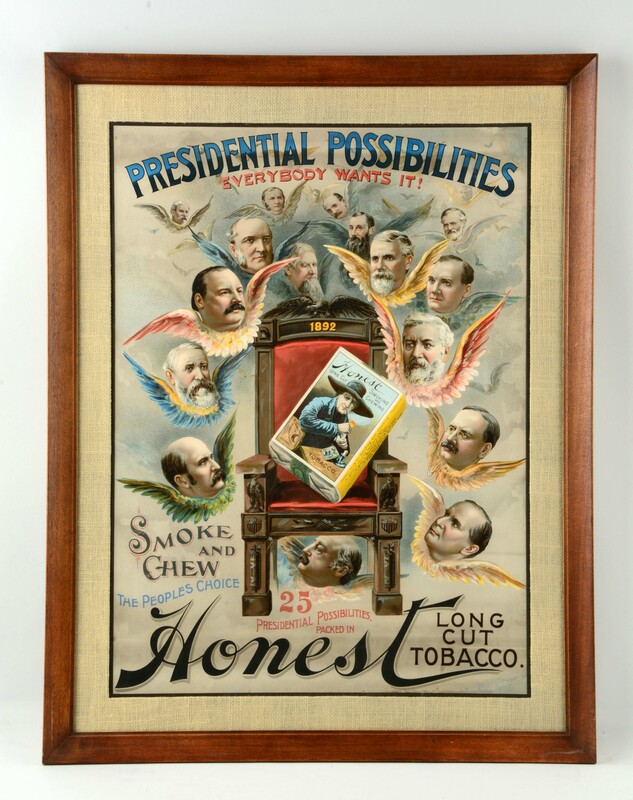 Honest Brand Tobacco Paper Poster, estimated at $2,500-5,000. Airplane Occupational Shaving Mug, estimated at $1,500-4,000. Harley Davidson Occupational Shaving Mug, estimated at $1,500-3,000. 1901 Coca-Cola Calendar, estimated at $8,000-15,000. 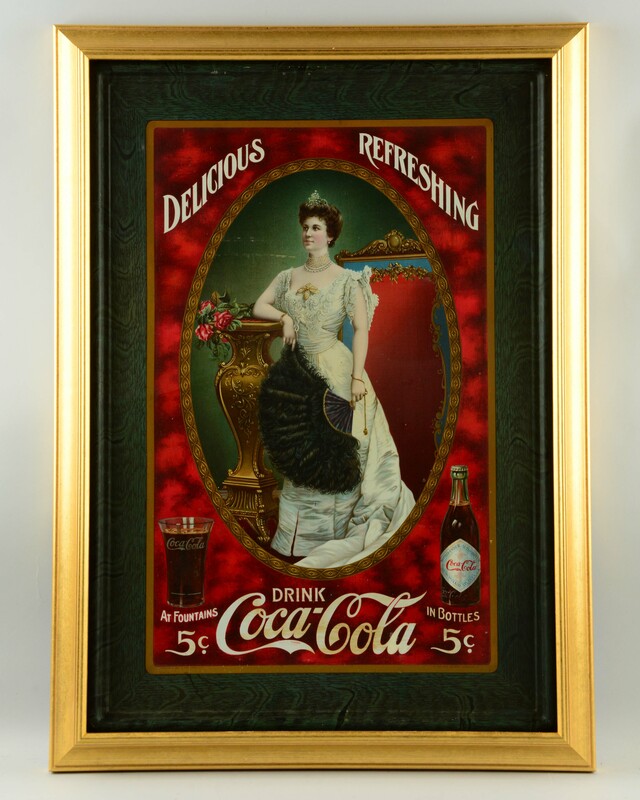 1905 Coca-Cola Tin Sign, estimated at $7,500-15,000. 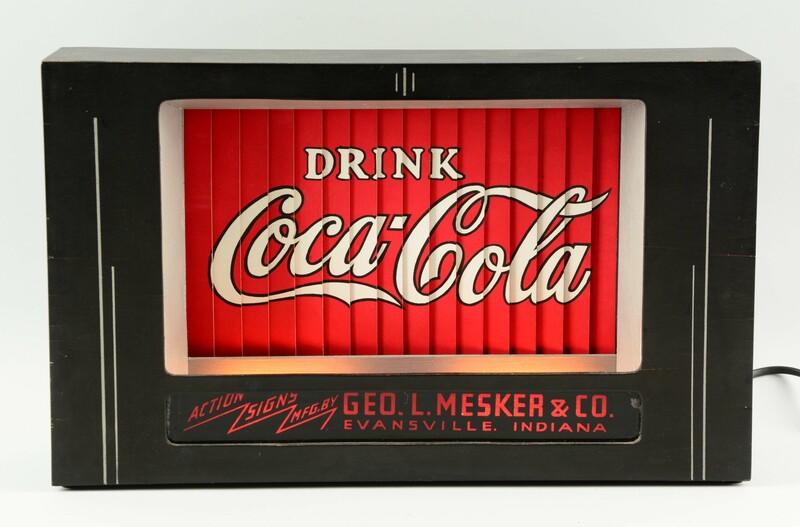 Circa 1930s Coca-Cola Lighted Action Sign, estimated at $6,000-12,000. Early Coca-Cola Hutchinson Bottle, estimated at $4,000-6,000. Coca-Cola Double Glasscock Sample Cooler, estimated at $15,000-25,000. 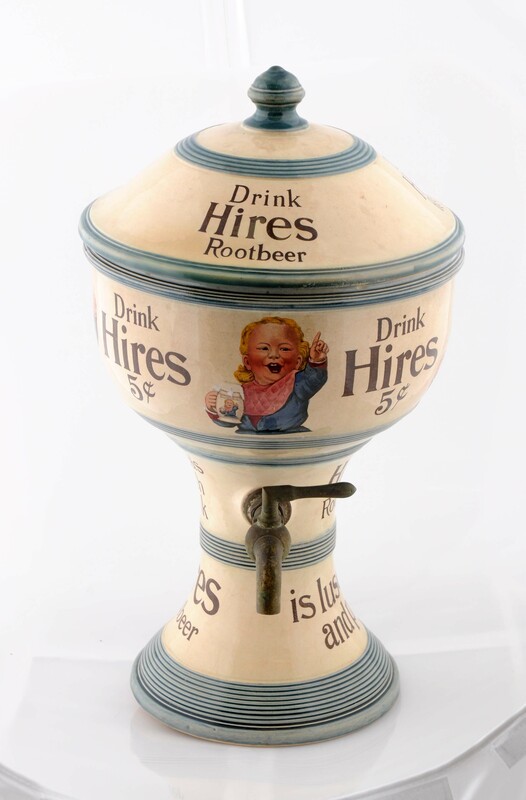 Jim Dandy Root Beer Syrup Dispenser, estimated at $15,000-25,000. Two Piece Hires Ugly Boy Urn Syrup Dispenser, estimated at $20,000-30,000. Drink Fan-Taz Syrup Dispenser, estimated at $10,000-25,000.